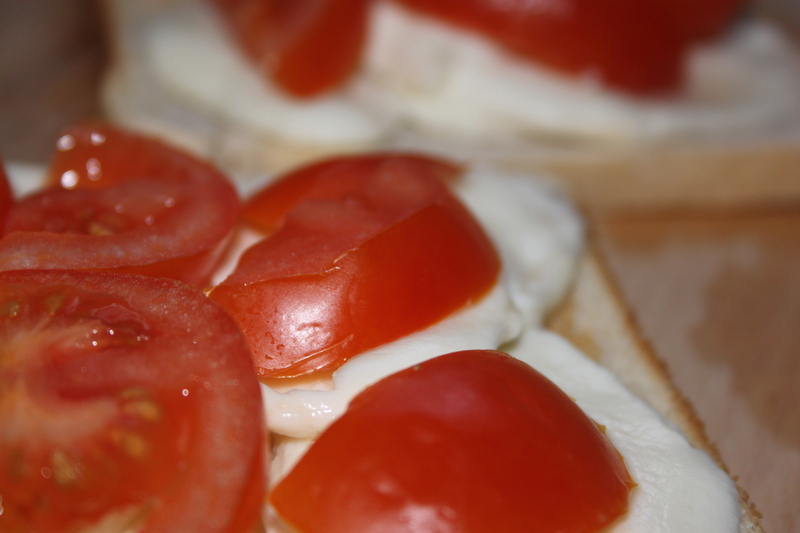 Lunch Time – A Tasty Alternative! I have been wanting to make this for a while. I’m not really a massive fan of pizza, I prefer something lighter. I can also be quite funny about warm food on a warm day. Therefore, this is perfect for me – plus I had all the ingredients already in my kitchen! That is all you will need for the variation I’m making today! But of course, like a normal pizza, you can put almost anything on it. 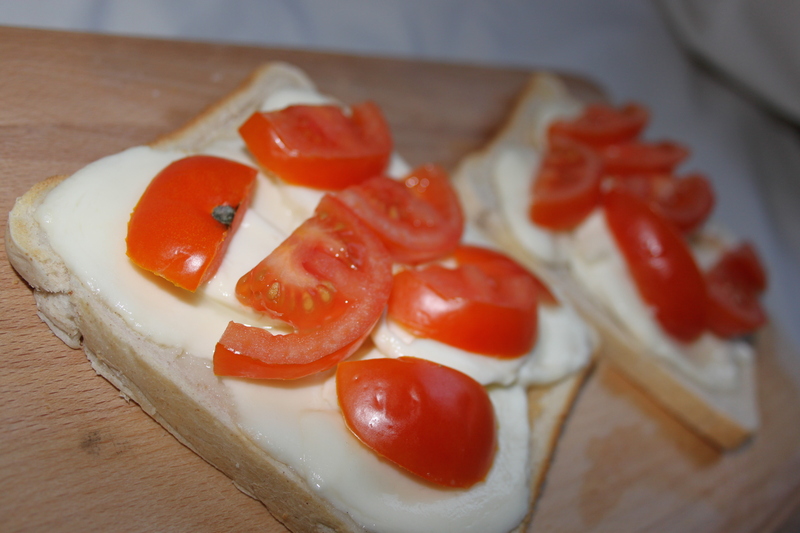 2) While you bread is toasting, slice mozzarella and tomatoes. And switch on the grill. 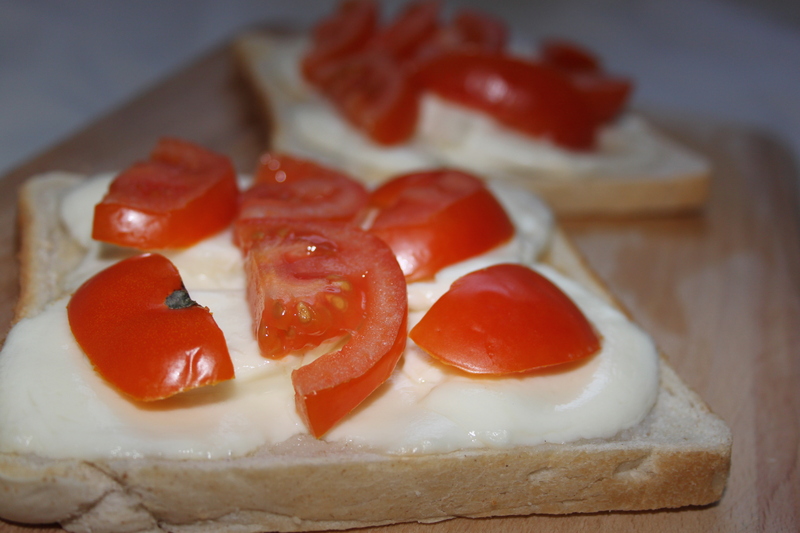 3) Once your toast pops, put the topping on and slide it under the grill. Next time I think it will need… basil or capers or anchovies. This was very mild, next time high flavour! Maybe even something a bit spicier! 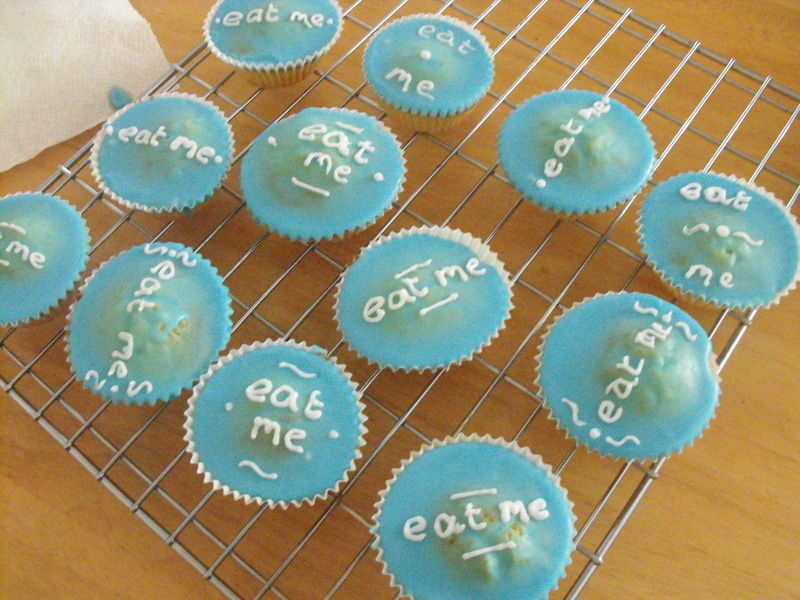 I just saw someone else had posted some ice-cream cupcakes so I thought I’d show you a selection of cupcakes me and my sister made for an Alice in Wonderland party two years ago. These, obviously, aren’t very Alice but we wanted lots of weird and wonderful food. 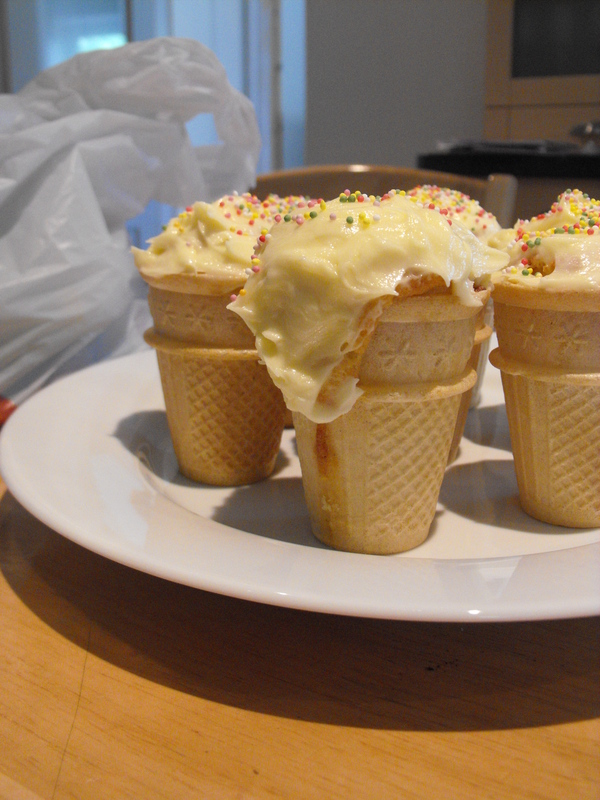 Ice-cream cupcakes are so easy to make and people are always impressed! The ones in the picture are simply basic cake mix, about half fill each cone. 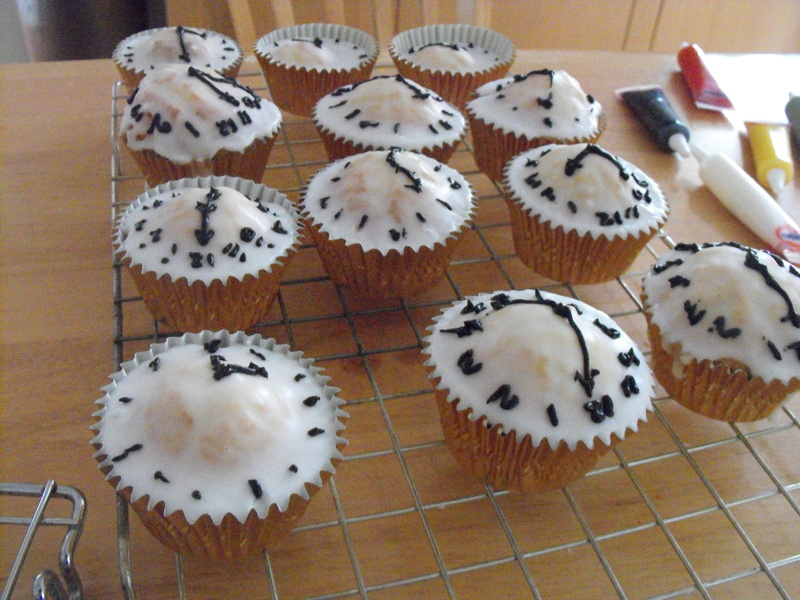 Then a good dollop of butter cream topped with sprinkles! We also made our own lemonade and used drink me labels, bought lots of brightly coloured sweets and made a rabbit shaped jelly (which soon became vodka jelly once my friends got hold of it).